Size of this preview: 665 × 599 pixels. Other resolutions: 266 × 240 pixels | 1,023 × 922 pixels. Foto di una penna della Eversharp. Modello: Gold Seal Personal Point. Caricamento a levetta. Realizzazione in celluloide nera. Misura medio/piccola, pennino n. 2. 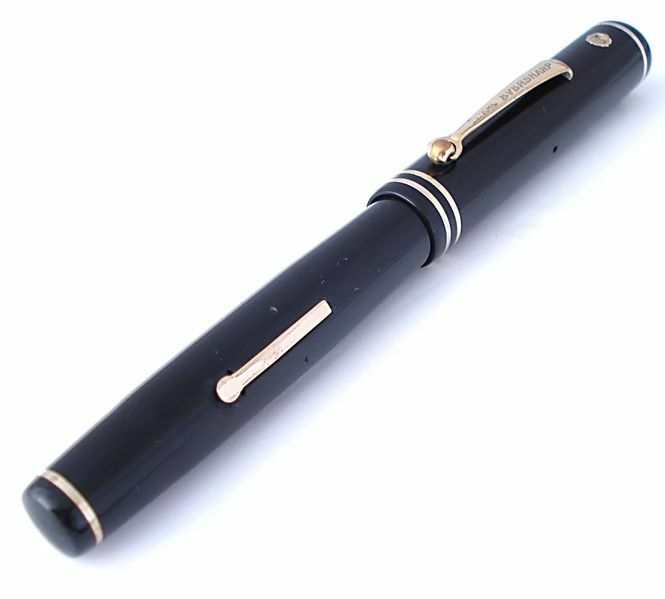 Contributo di Fabio (utente forum fountainpen.it fabbale09). Photo of a pen produced by Eversharp. Model: Gold Seal Personal Point. Filling system: lever filler. In black celluloid. Small/medium size, n. 2 nib. This page was last edited on 1 August 2018, at 00:49.